As producing bicycles, there are many necessary parts, like handle-bars, cranks, derailleurs and brakes. It means a bicycle is ensemble of many parts. How to express its concept if their all parts are set? We quite simply concentrate on that point. However, we re-think. These specifications are what we really need or not. They are just the specifications that compete with other bicycles with the point of labels, and ignore what customers really need. “DOPPELGANGER（R）808 tint” made by those antithesis and our suggestions. 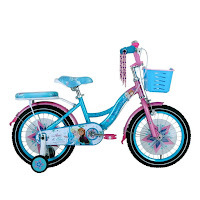 We have already mentioned, as it is bicycle, bicycles need minimum parts for they are existing as bicycles. We believe component doesn’t decide bicycles, bicycles themselves decide components. 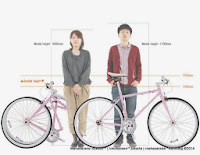 This is our basic idea for producing bicycle, and we design the bicycle that parts fit the bicycles. 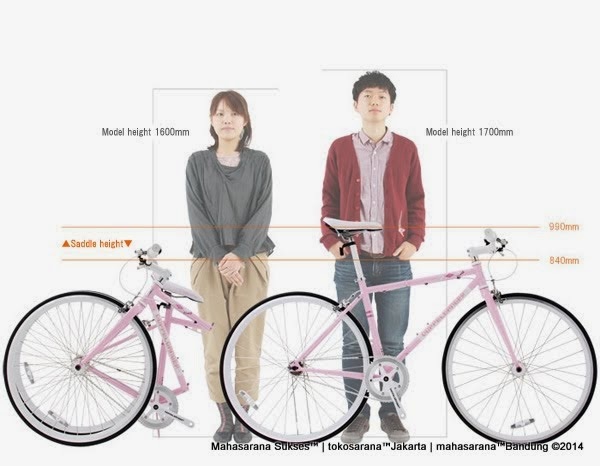 Of course, not only design, we also pursue for basic performance as bicycle. We take its weight heavy on “man-machine interface,” size and positions of parts are decided by a number of test rides. Untuk sepeda ini stoknya masih ada? Sepeda Fixie Lipat Doppelganger 808 Tint Flip-Flop Hub 700C ada, harga Rp1.600.000,- harga tidak termasuk ongkos kirim . Kalau kirim ke palembang jln rw monginsidi kalidoni 30118 untuk sepeda doppelganger 808 berapa ongkirnya? ongkos kirim ke palembang kota Rp260.000,diluar kota palembang ada biaya tambahan ongkos kirim,dikirim lewat cargo,barang dikemas dalam karton dan dilepas sebagian,barang sampai ditujuan 7hari kerja ekspedisi. 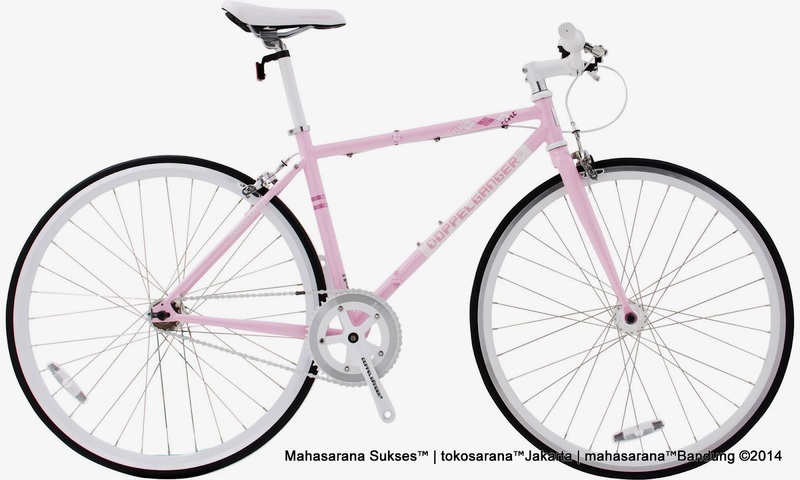 Maaf,Sepeda Fixie Lipat Doppelganger 808 Tint 700C tidak ada,bagaimana kalau ambil Sepeda Gunung Lipat Doppelganger 703 Laidback 26 Inci,harga Rp3.750.000,harga tidak termasuk ongkos kirim. 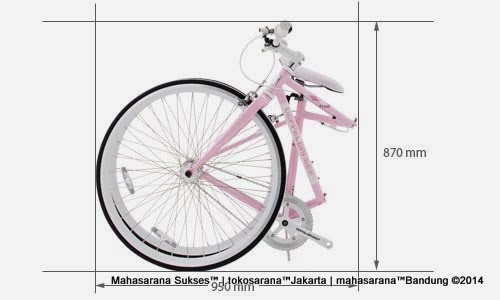 bisakah sepeda fixie lipat doppelganger 808 tint 700c ditambahi gigi?jadi berapa harganya? Maaf, Sepeda Fixie Lipat saat ini tidak ada. fixie lipat doppelganger ada gan?? Maaf,Sepeda Fixie merek Doppelganger stok habis. Bos, sepeda fixie lipatnya sudah ada?